Delight in this home on a lovely tree-lined cul-de-sac in a quiet neighborhood in Kinsmen Park. Steps away from water access and all the offerings of Gorge Waterway, it offers an affordable and stylish lifestyle close to town that is perfect for active families who love to explore the outdoors. This home boasts a spacious 5 bedrooms and 3 bathrooms that's laid out for very comfortable living! I absolutely love how bright and airy it is. Light streams in from the large windows and plays with the character features. There's more than one surprise here. A gorgeous exposed red brick fireplace, newer wood flooring AND the most fabulous vintage wall paper in the master suite!! 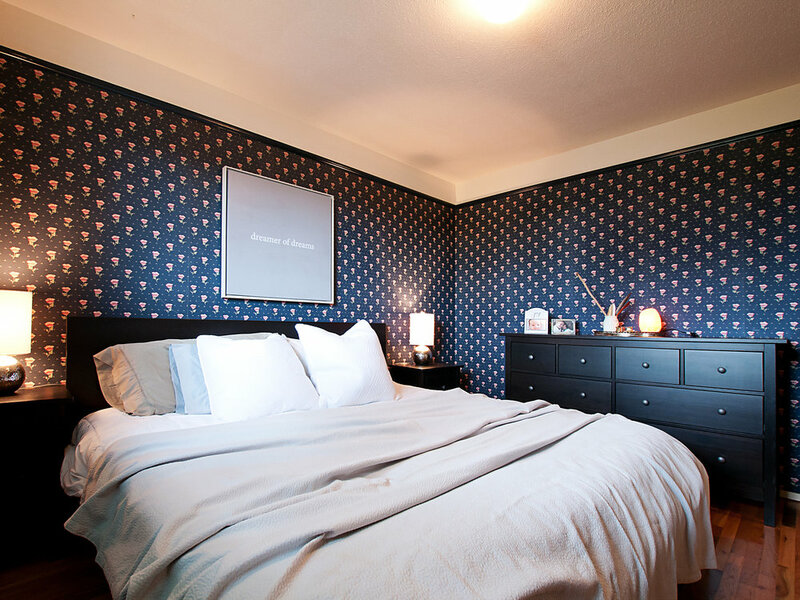 The master suite also includes a large walk-in closet and a 2 piece ensuite! You'll find lovely touches of character and warmth at every turn in this home. The recently updated kitchen features butcher block countertops and newer appliances. Off the kitchen is a HUGE deck with a lovely view with the most unexpected surprise: you can watch the FIREWORKS downtown from here!!! The deck has also had a recent update which includes new stairs, railings, and vinyl. Leading off the deck is a darling fenced-in backyard full of lush greenery. It's perfect for everything pets, gardening, playing and catching some rays. The lower level has a quaint 2 bedroom self contained suite with high ceilings, large windows, and a separate entrance through it’s own private yard at the side of the house, which is landscaped as beautifully as the rest. The suite is currently rented for $1600/month. The lifestyle in this home is picture perfect. Stroll over to walking trails and parks just down the road. Skip rocks on a pond, feed the ducks. Hop across the street to Gorge Vale Golf Club, a beauty of a golf course that's perfect for brushing up on your stroke as well as the seasoned pro. The stunning Gorge Waterway- where kids love to play in playgrounds along the waterfront while you enjoy a coffee and picturesque scenery- is minutes from your front steps . Have older kids? Go for an exciting yet peaceful kayak down the Gorge itself and introduce them to the rich world of outdoor adventure! This home and neighborhood will grow with your family. Thanks to the central location of this home you're only 15 minutes from Downtown Victoria as well as the flourishing Westshore communities. Your options for shopping, rec facilities, and dining out are truly endless! When you come to the open house, be sure to stand on the deck and check out the view of downtown. This is the place you'll want to be for every fireworks display. The view from this cozy nest is delectable!